"Above the Clouds at Beech"
Centrally located between Heaven and Earth in the Heart of the Blue Ridge Mountains, this beautiful, one bedroom, one bath condo is conveniently located just steps away the Beech Mountain Resort, Beech Tree Village, Ski Slopes, Mountain Bike Park, Tubing Runs, Ice Skating Rink, Fire Pit, Brewery, Village Shops, Beech Tree Inn, Viewhaus Restaurant and several other restaurants. Elevation at our unit is 4600'. We now have internet full time! Select Netgear51 when you connect and the password is taped on the router, below the TV. This Non-Smoking condo is on the third level but only one flight of stairs. 1 bedroom with 2 queen beds, living area has queen sleeper sofa. There is a divider between the bedroom and living room for privacy. You can see the beautiful 75-mile view from the entire condo. There is a full kitchen with range, microwave, refrigerator and dishwasher. Also coffee maker, toaster and plenty of dishware, pots and pans and utensils for cooking. There is no grilling allowed on the decks. Beech Mountain, at 5506' is the highest incorporated town east of the Mississippi. Although known for winter activities of skiing, snowboarding, sledding and ice skating due to an average 80" of snow, summer temperatures in the low 70's and fresh mountain air provide a respite from summer heat. Air Conditioning is not necessary. Some of the summer activities include hiking, mountain biking, canoeing, rafting, antiquing, golf, fishing, horseback riding, zip-lining, just to name a few activities. 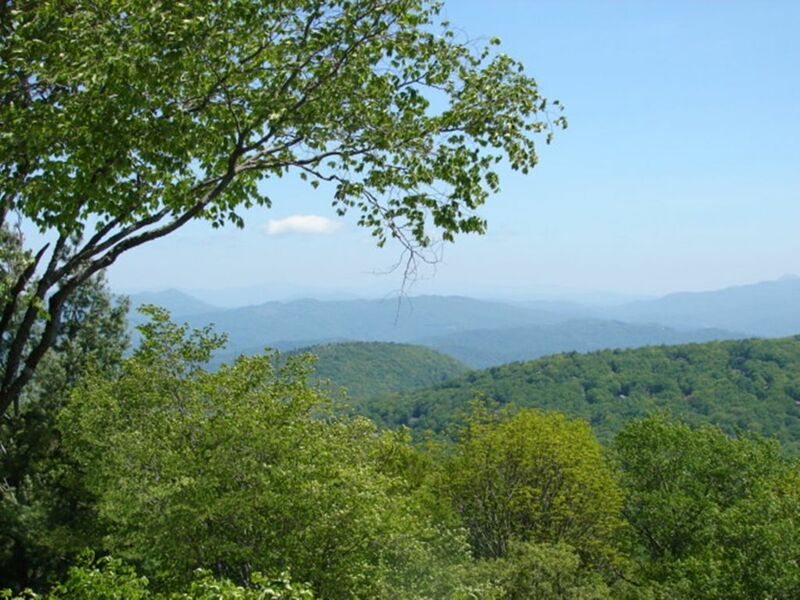 After an invigorating day of activity what could be better than to relax while watching tv, catching a nap or just enjoy the 24-hour show of the ever-changing Blue Ridge Mountains from sunrise to sunset! We are Norman & Jeanene McColl and we purchased this condo in March of 2015. We love Beech Mountain and all it has to offer and come here whenever we can. We live in Statesville and both still work. I am a Realtor and Norman is a truck driver. We hope you enjoy your stay at our little piece of heaven on earth! This condo is convenient to restaurants, Fred's, ski slope, hiking trails and everything that Beech has to offer. The VIEW is the most outstanding thing about our condo! We've been told by others that live here that we have the best view out of all the other condos at Holiday Beech. 75 mile view of the Blue Ridge Mountains! 3 state view. Washer and dryer in clubhouse. Ask for access code. Full size refrigerator with ice maker. Paper towels, toilet paper provided. Some staples, salt, pepper, Italian spices, mayonnaise, mustard, margarine. Table with 4 chairs in Dining area. DVD player is located in side of tv. Videos available or you can rent more from Fred's. Tennis courts at Buckeye Recreation Center. We had a great stay. Cozy, clean, excellent view and location! Excellent value for the money. It suited our family perfectly. It had everything you could need for a weekend getaway! Thank you for the nice review. I am glad you enjoyed your stay and hope you will return soon. We had a great weekend trip. The place was spacious, clean, and comfortable. The views were amazing. Thanks for the nice review, I’m glad you had a nice time. Hope you will return and tell all your friends and family about our “little piece of heaven “. We enjoyed our experience at this cozy little condo. Loved how close it was to Beech Mountain (~1 min drive). Didn't realize the condo is essentially a studio to where the beds can be closed off by a sliding screen. Parking was a little tight but overall we enjoyed our stay very much! Thank you for the nice review. I am glad you enjoyed your stay at our condo and hope you will return. Very clean, convenient, ski condo. Owner was easily accessible and very responsive. She even allowed us early access to the condo. Condo was exactly as described and a walk from the slopes. Would absolutely recommend. Thank you for the nice review. I am glad you enjoyed your stay and hope you will return and tell all your friends. Perfect weekend getaway for my family of 3!! Very clean and conveniently located! Thank you for the nice review, we are glad you enjoyed your stay and hope you will return. The heat is electric and the winters are cold so please make sure you do not turn the heat down past 55 degrees if your stay is in the winter months. call SKI BEECH for a snow report (800-438-2093). Directions to condo: From Boone at the intersection of 321, 421 & 105, take 105 to Banner Elk, turn right on Hwy. 194 at Tynecastle (at the light), continue thru Banner Elk to the next light and turn left, then right on Hwy 184 (Beech Mountain Parkway) to the top. After you pass Fred's General Store it is approx. 1-1/2 miles to left on Village Road, just past entrance to the ski slopes. Take 3rd left, which is Upper Holiday Lane and go to Building F, we are on the top floor, Unit F322.